Sustainable Spring: Adventures in Green Living Spring Courtright shares her tips and adventures in sustainable living on the Kitsap Peninsula. We use revolutionary incrementalism: small steps, big ideas. ~ EduCulture founder and director, Jon Garfunkel. 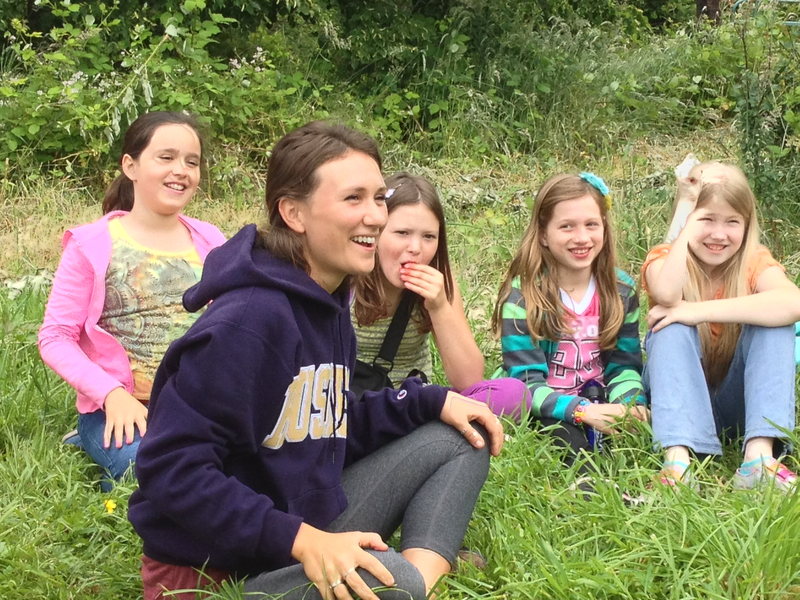 Tears popped into the corners of my eyes this morning as I walked away from my experience with EduCulture on a Bainbridge Island farm. I began dreaming of what the world would be like if every school had a program like this. This week I had the privilege of seeing this bridging in action – and tasting the results. 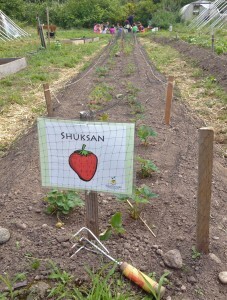 I joined 25 fourth graders and their teachers from Wilkes Elementary as they literally tasted the fruits of their labor – fresh, perfectly ripe Shuksan Strawberries picked from plants at Morales Farm, from which they took young plants and transplanted to Suyematsu and Bentryn Family Farms (which is where the photos are from). Students from Wilkes, Ordway and Blakely Elementaries and Island Coop Preschool have also planted greens and heirloom potatoes, pumpkin and squash, which students next fall will harvest. The potatoes are the Makah Ozette Potato, which was cultivated by the indigenous people of this region. They grow a few types of strawberries, which at one time Bainbridge Island was famous for, and they’re helping to bring the endangered Marshall Strawberry back from it’s endangered status. Curriculum in these schools has been tied to their farming projects, such as math, science and social studies, and the classes walk to the farms to learn plant, tend and harvest plants. Students today didn’t get to just reach in and grab the strawberries. There was a great deal of learning just in the eating of the berries, which is one of the things I loved most about the experience. First, the EduCulture instructor, Madison Taylor (known as Madi), had each person smell the large mound of strawberries in her bowl. “Mmm…I can smell these! I can’t usually smell the ones at the store!” exclaimed one student. Then Madison had everyone take one berry, but asked them to resist the temptation to pop the whole thing into their mouths and instead just bite the tip off, paying attention to all the flavors they experienced. She then had everyone bite their strawberry in half and asked them to look at the color. She finally let them eat the entire berry while explaining that the reason the flavor, smell and color of these berries were so deep and complex was because they were fresh and ripe, whereas the ones bought in grocery stores are often not completely ripe or, if they are, they’re often unnaturally ripened by ethanol and other chemical processes. One teacher’s face fell, “But not for organic ones, right? !” she asked. Madison assured her that no, organics are usually not ripened by ethanol (though I’ve read that farmers who don’t use chemical processes to ripen fruit are feeling the pressure due to other farmers getting their products to market sooner). As she let the students take more berries and eat them, she then explained that when the class took strawberry runners, or “babies,” to another bed and planted them, it allowed the “mother” plants to grow big and strong. She also explained, “These are Bainbridge Island strawberries,” through and through. Their mothers came from other mothers who came from other mothers on this same farm, and the berries they were eating carried flavors from the land here. “What if I took soil and plants from Bainbridge to California, what would happen then? 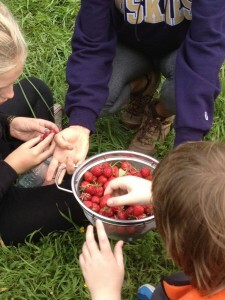 Would the berries taste the same?” asked one student. “Try it and let me know what happens, because I’m curious, too!” she answered. The Suyematsu and Bentryn Family Farms where the students have been planting, learning and harvesting was started in 1928 and is the oldest working farm in the region. 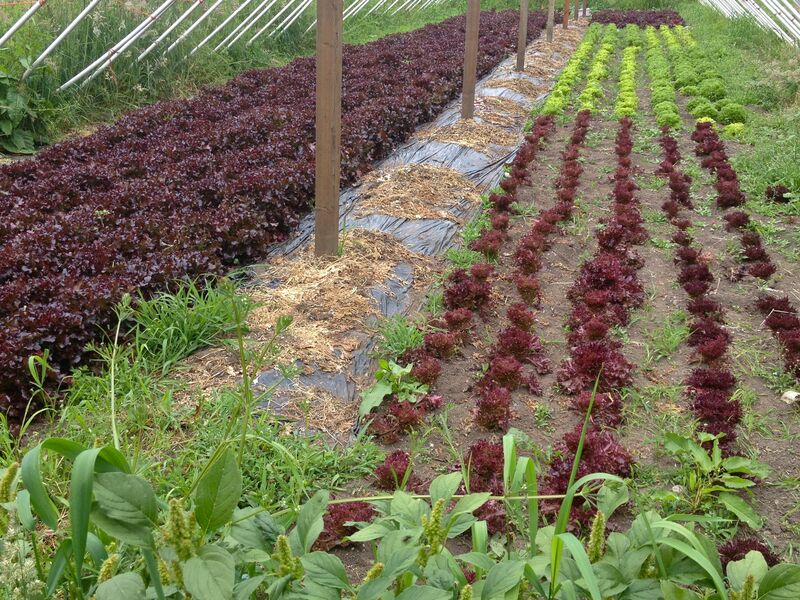 Many immigrant families have worked on these farms to earn enough money to start their own farm or restaurant, including the locally loved Sawatdy Thai restaurant on Bainbridge Island. 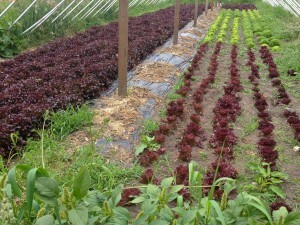 Two other farms on Bainbridge Island are also used for EduCulture – Morales Farm and Heyday Farm. 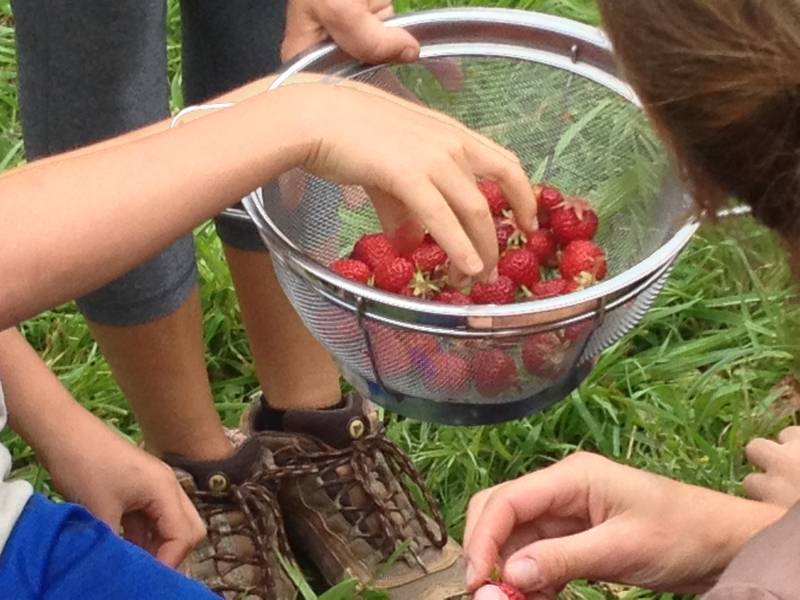 In 2010, EduCulture partnered with the Bainbridge school district and now uses hundreds of pounds of corn, potatoes and raspberries grown by students and local farmers are featured in the school lunch program. In 2013, the EduCulture Project partnered with food communities in Suquamish and Seattle to launch the Edible Democracy Project, which is an entire blog post in itself. Awesome experience for those kids! Love it and good job with the article. I hope it inspires more education like this! Thank you Cari! I hope it inspires more education like this, too! Did Flea Shampoo Kill Boo?